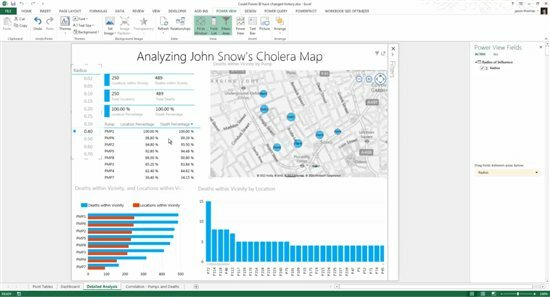 A recreation using Power BI of an important historical event where data was used to save countless lives. My wife works in the field of epidemiology and I like reading about historical events. Combine that with my passion for data analytics, it was almost inevitable that I would try to recreate the work of the father of epidemiology, Dr. John Snow. As a BI consultant, I get to work on many interesting projects. One of the cool BI projects that I did was for a top 10 CPG company where we made the use of Microsoft BI stack for analyzing and improving their retail figures. What is your favorite BI blog and why? I am passionate about all things BI and SQL Server, and try to read as much as I can from my fellow peers. Some of the blogs that I don’t miss are from the Power BI Team, SSAS team, Chris Webb, Marco Russo, Alberto Ferrari, Kasper de Jonge. I have been in the BI industry from my first job which was almost 8 years back. Before I found my true calling, I was a Computer Science engineering student and an aspiring coder.